Healthcare IT By LW Consulting Inc.
A properly managed revenue cycle can mean smarter, more efficient billing—and ultimately, a healthier return. However, putting all of this into place requires looking at the individual pieces that make up the larger spectrum. 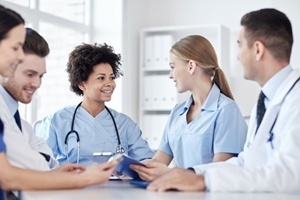 Delegate staff effectively: The American Health Information Management Association website mentions the way that dedicated staff members are useful for the actions that come in the early claims processing stages. Tasks like pre-certification can be helpful for specialist practices, and can also help the practice reduce the amount of time it takes for the cycle to complete. Generating medical record data: AHIMA also notes the strict methods that should be used to obtain patient information. Your actual policy may vary, but practitioners should take the necessary steps and stick to set regulations. Improve coding consistency: Whether it's a technological issue or lack of knowledge, addressing the gaps that could leave discrepancies in your claim is a big step toward better efficiency. Consistent coding errors may point to a single or shared source of problems, such as someone who doesn't know the correct system procedure. LW Consulting offers training and education on coding and clinical competency development. Contact us today to learn how we can help you enhance your practice's revenue cycle.